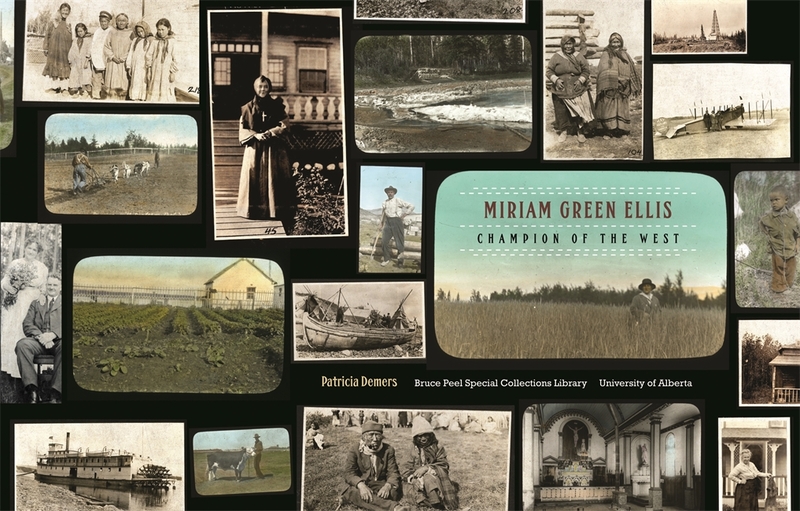 This catalogue introduces the work of Miriam Green Ellis (1879-1964), pioneer woman journalist of Western Canada. Never one to follow a typical path, she steered clear of the "women's page" and society columns; her livelihood was the agricultural beat. Ellis's daring journey by river steamer from Edmonton to Aklavik in 1922-documented with a diary, travelogue, photographs and slides-launched and illustrated her subsequent "Land of the Midnight Sun" lectures, and secured her position as Western Editor for the Family Herald and Weekly Star. The materials she bequeathed to the University of Alberta include published newspaper articles, photographs, coloured glass slides, manuscripts, diaries, and letters; the Collection's cultural and ethnographic value to researchers is unparalleled. Miriam Green Ellis: Champion of the West samples the rich diversity of the Collection, while inviting you to see the way we were as Westerners almost a century ago and demonstrating why the West remained Ellis's emotional home. Patricia Demers is the distinguished university professor in the department of English and Film Studies at the University of Alberta, has received numerous awards for her research and teaching. The author or editor of seventeen books and over fifty articles, Patricia Demers has served in senior positions with SSHRC and the Royal Society of Canada. She lives in Edmonton.